Investrade has a new and much better way of getting their trade history using downloadable text files from APEX Clearing. 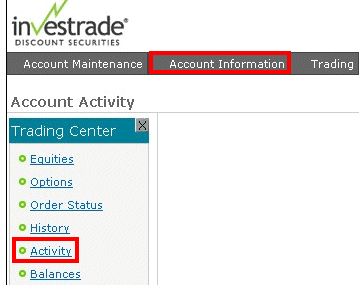 Log on to your trading account web site and click on the Account Information tab, and select Activity. 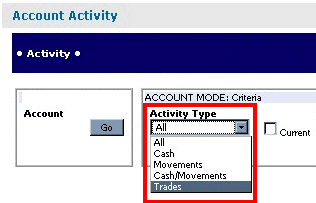 Select Trades from the "Activity Type" drop down box. Unselect the Current checkbox and select a From Date and a To Date drop down box. Click on Download Data icon at the top right side of the screen. 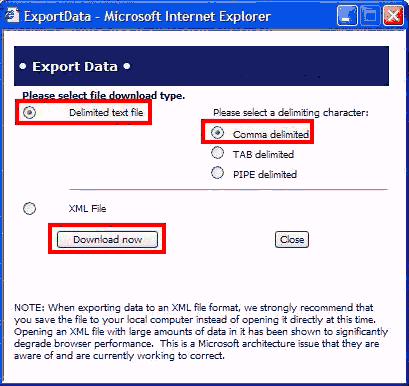 An Export Data window will popup. 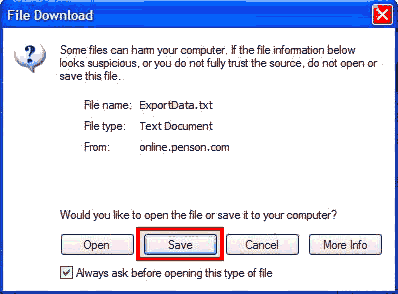 Click the Save button to begin the download. Run TradeLog and make sure the APEX Clearing import filter is selected. If not please use menu item: Accounts, Edit and select APEX Clearing. Click on the APEX Clearing Imp button. The APEX Clearing Import dialog appears. Select your APEX Clearing transaction text file and click on the Open button. Click on the Yes button to confirm your import and save to disk. Clicking on the No button will cancel the import.